September 10 (Tuesday) – We packed up camp at Colter Bay and stopped briefly for another glimpse of Oxbow Bend before a long day of driving to Devil’s Tower National Monument in northeast Wyoming. On route 26 we passed the Togwotee Mountain Lodge, a place we had considered staying for our time in Jackson. I am glad we did not, as it is much further from the action. 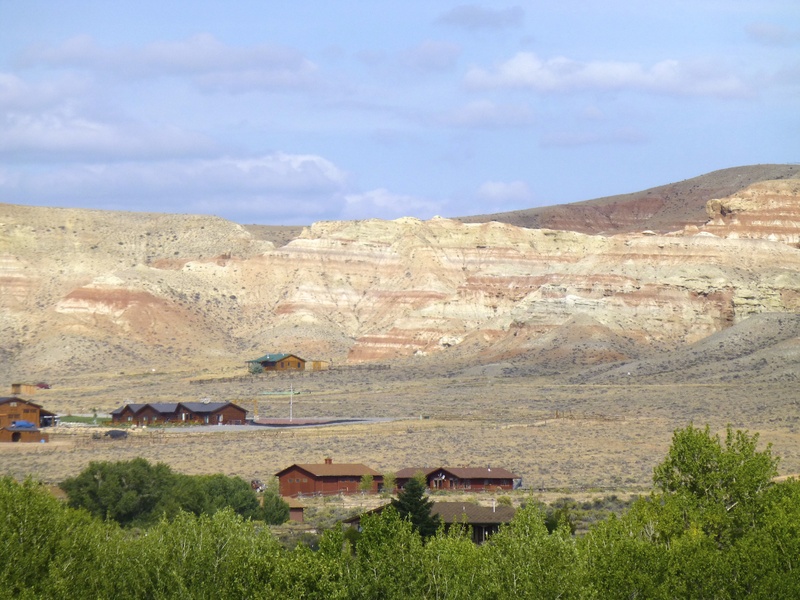 With very few cars on our route, we crossed a pass over 9,500 feet and saw beautiful mountain cliffs and formations more reminiscent to me of Bryce or Zion or New Mexico than northern Wyoming. There was a silver structure atop one of these mountains and I cannot figure out what it is…so if you know, please do tell! There were great views from the area by Brooks Lake. We passed Triangle Ranch and Lava Creek Ranch. There are so many ranches in this part of the country. I would imagine some are private while others offer the great western outdoor experience to those willing to pay. The drive continued to be very scenic east of Dubois. I noticed that most trucks here have imposing metal bars on the front, perhaps to minimize damage to the vehicle when colliding with wildlife? About 40 miles west of Casper we stopped at Hell’s Half Acre, an area composed of deep ravines, caves, rock formations and hard-packed eroded earth (thanks wikipedia). Native Americans drove herds of bison into this area for slaughter during hunts. Salt Creek Days appears to be an event in mid-August celebrating central Wyoming’s history and frontier spirit. We missed it, and also skirted most of Casper which seems to be an industrial and oil and gas city. Probably not the kind of place where you want to be at the bar for last call. Some general thoughts: we invented a new road game here, where the goal is to find a vehicle that is not a Ford pick up truck; people quickly and unabashedly express their dislike for Los Angeles; there are a lot of towns around here where the elevation in feet greatly exceeds the population; a lot of two lane roads with speed limits of 65+; a lot of Caterpillar and Deere and Case equipment. The idyllic picnic spot we sought never materialized, so instead we pulled over across from a broken down truck. It was in this very spot that I invented the Central Wyoming Bahn Mi. It consists of wheat bread, sliced left over teriyaki pork tenderloin, carrots, mustard and green Tabasco sauce. As we continued on our way, we saw tons of bison, some pronghorn, not as much cattle as I would have thought, and the (self-ordained?) 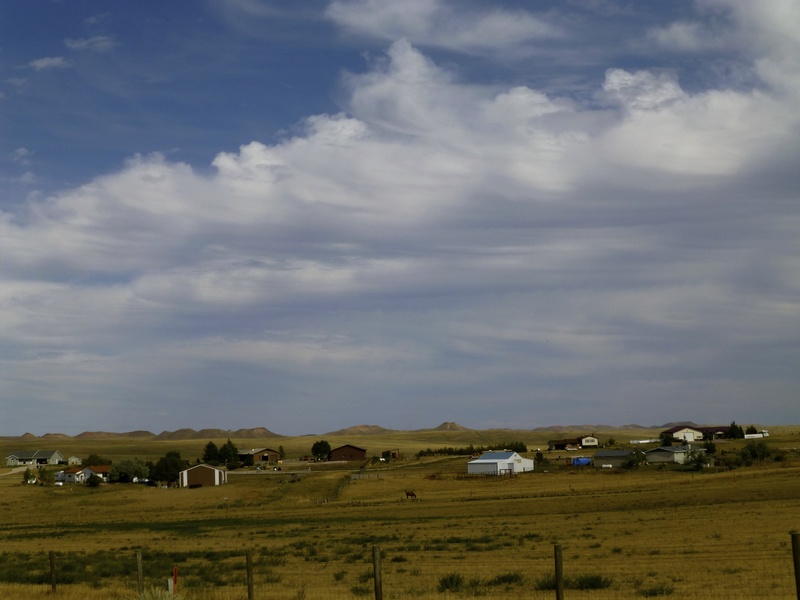 energy capital of the US: Gillette, Wyoming. 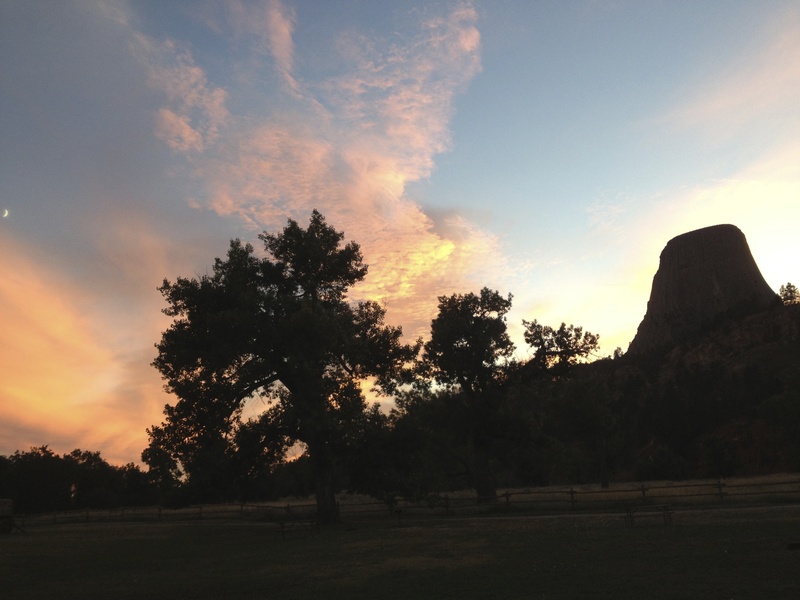 In the late afternoon we arrived at Devil’s Tower. Per wikipedia, it is an igneous intrusion or laccolith in the Black Hills of northeastern Wyoming, above the Belle Fourche River. It rises 1,267 feet above the surrounding terrain and the summit is 5,114 feet above sea level. Devils Tower was the first declared United States National Monument, established in 1906 by President Theodore Roosevelt. The surrounding area is attractively composed of hills strewn with pine and reddish rocks. We camped in our first KOA of the trip (vs. state or national parks) which had an unbeatable location directly beneath the Tower and about 100 yards from the road entrance. 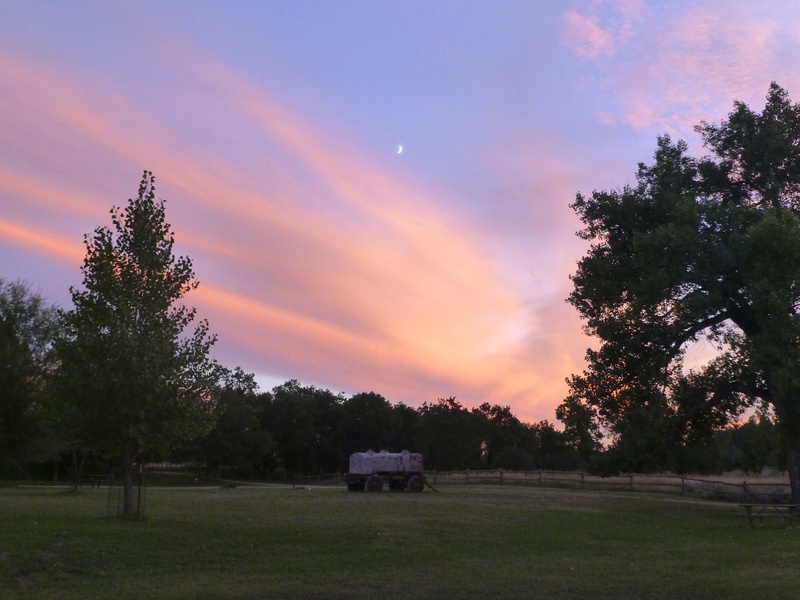 This campground seems more popular with RVs but there is a big grass field for pitching tents with scattered fire rings, picnic tables and potable water pumps. A handful of cabins are available for rent. There is wifi and free hot showers. The mosquitoes were relentless but worth tolerating to be so close to this magical monument. The RV pitch was made to us by a couple from Louisiana on their way back after a trip to Alaska that began in May! I am not ready for that step, but I did consider the appeal more than I had before. This is our first night outside bear country in a while so we can be more relaxed about our spread. The tent field was practically empty so I got my first Frisbee sesh of the trip with Jenni, my reluctant yet talented partner. We cooked up some three cheese tortellini with pesto and enjoyed an epic sunset with a Tuscan red blend. The iPod portable speakers finally came out and we got along famously with Norah Jones. We had driven 440 miles from Jackson yet the area code remained the same. 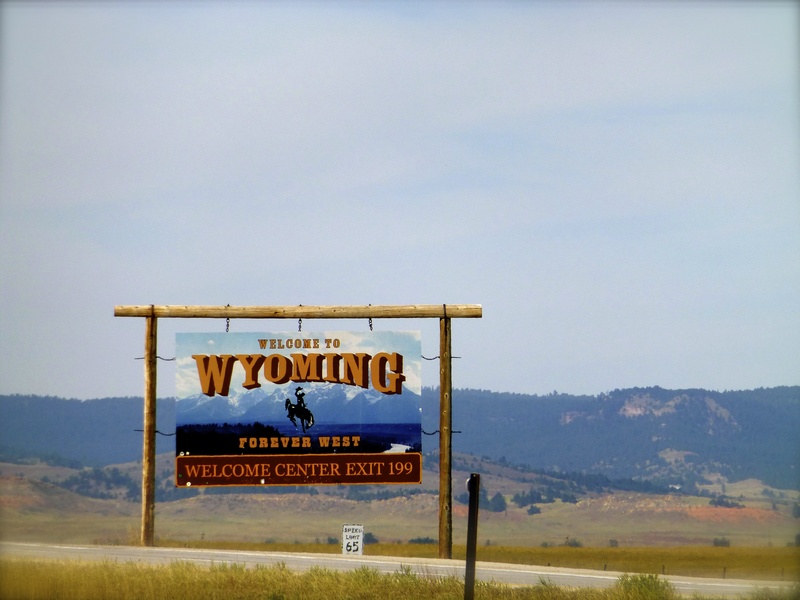 Still in Wyoming, it felt like South Dakota to my mind’s imagination. September 11, 2013 (Wednesday) – The morning was surprisingly wet but we had a busy day ahead, so after a feeble attempt to dry our tent we entered the Monument at 8 am. It would cost $10 without the annual pass. Black-tailed prairie dogs are everywhere as one ascends the road to park near the base of the Tower. We did a 1.3 mile paved loop around the Tower, and flip-flops were fine. Geologists agree that Devil’s Tower was formed by the intrusion of igneous material, but they cannot agree on exactly how that process took place. The Tower is sacred to many Native Americans, and there are numerous, less scientific legends of its formation. One tells that some girls went out to play and were spotted by several giant bears, who began to chase them. In an effort to escape the bears, the girls climbed atop a rock, fell to their knees, and prayed to the Great Spirit to save them. Hearing their prayers, the Great Spirit made the rock rise from the ground towards the heavens so that the bears could not reach the girls. 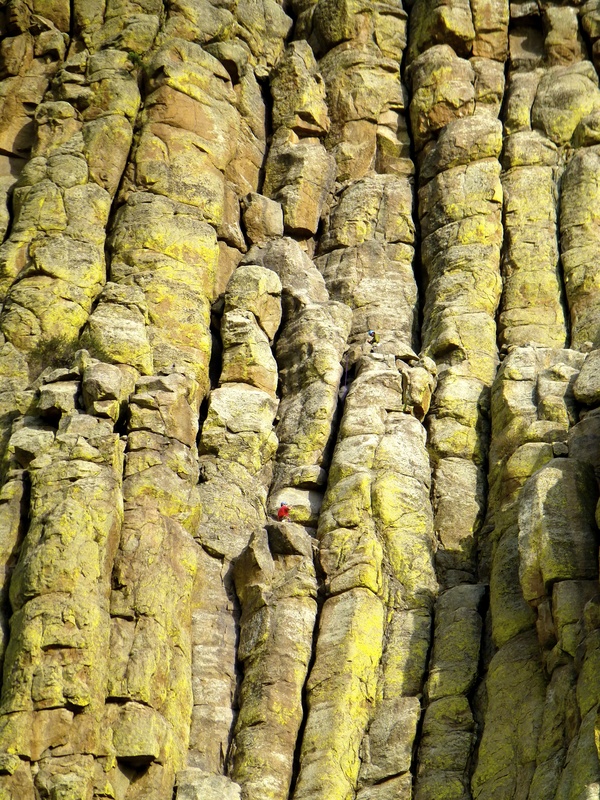 The bears, in an effort to climb the rock, left deep claw marks in the sides, which are what we see today on the sides of the Tower. When the girls reached the sky, they were turned into the star constellation the Pleiades. The Tower is a climbing mecca and it is estimated that about 1% of the Monument’s 400,000 annual visitors break out the ropes. We were fortunate to spot a pair high up the east side, which was impressive and offered some scale. The loop affords soothing views over the river and plains. I do not consider myself a very spiritual person, but there is something special about this place beyond its sheer beauty. This entry was posted in North America, Uncategorized, Wyoming and tagged Devil's Tower, Wyoming on November 11, 2013 by aleavitt77. Sept 9 (Monday) – In need of some exercise after a Sunday Funday, we drove to Jenny Lake and took the $12 (round-trip) boat ride across the lake to the trailhead for the Cascade Canyon Trail. You can walk around the lake to the trail, but a little pressed for time we chose the boat which shaves some miles off the round-trip. 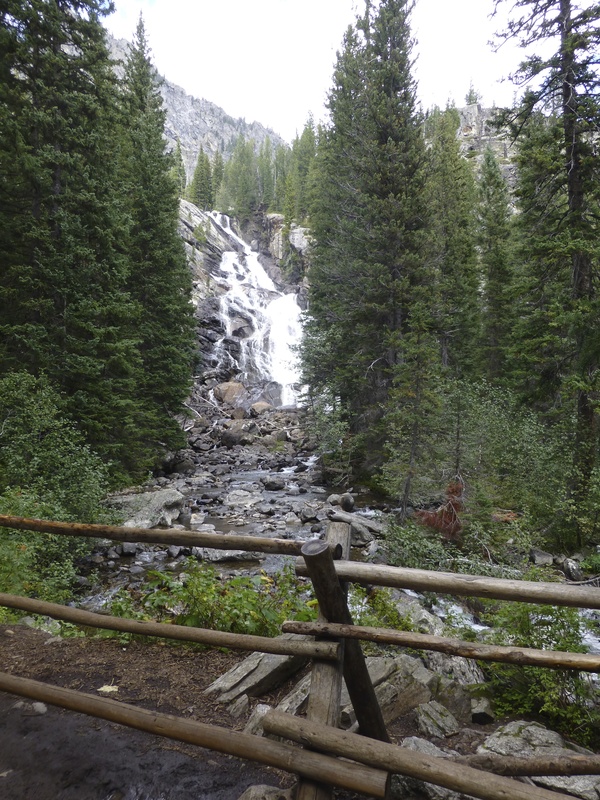 The Cascade Canyon Trail ascends far up into the Tetons and one could hike to Solitude Lake. We ascended perhaps three miles on a gently sloping path, I estimate about 600-800 vertical feet. We began by taking the horse trail up and to the right which soon meets back up with the more popular trail and runs along a mountain stream. It was a little cloudy but we got frequent views of the Tetons peeking through. Our lunch spot had inspiring views of an emerald green valley with water cascading down from glaciers. On the way down we stopped at Inspiration Point for views over the lake, and also glimpsed Hidden Falls. There are ample hiking opportunities in the area. Jenni was sick much of the time in Jackson and we got a late start, so the idea of hiking up to the top of Jackson Hole and taking the tram down was off the table. I would like to return some day to do a bit of backpacking because these mountains are so beautiful. Ted, our bartender yesterday at The Spur, had strongly recommended we check out Granite Hot Springs. It was already 2:15 pm and quite a drive to get there, but we had a nice moment abiding by our “let’s not be lazy on this trip” motto. The springs are about 30 miles southeast of Jackson (itself a significant drive from Jenny Lake). The drive was very pretty, and then we turned off the main road onto a dirt road leading to the springs. When one travels in a convertible, 10 miles on a dirt road takes about an hour. This was one of many highlights of our journey, as this area is rugged, remote and gorgeous. 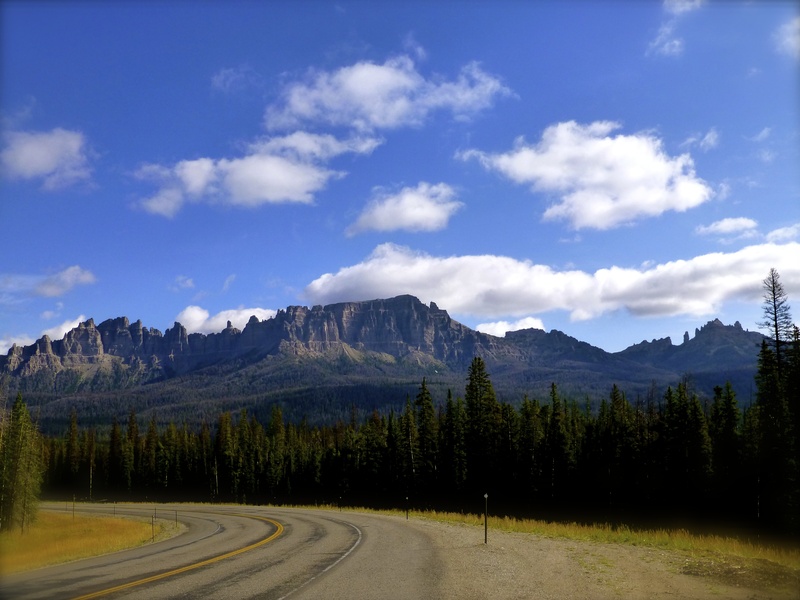 The dirt road runs along and above a river with abundant views of granite mountains. There are camp sites in the area. I did not research this, but it seemed that perhaps the ones closer to the hot springs can be reserved and have pit toilets while those closer to the paved road are fully wilderness camping. If I had a better vehicle and some preparation, this would be a delightful place to get away from it all. At the end of the road is a hot spring fed man-made pool area. It costs $6 each and there are changing rooms and pit toilets available. The temperature of the pool fluctuates between 93º in the summer and a scorching 112º in the winter. We met a nice man from Iowa on a fly-fishing trip who told us he is not remarkably skilled but sure does look good courtesy of the Orvis catalog. He also said the Atherton Creek Campground at Lower Slide Lake is great. Rumor has it one may cross the creek just below the granite falls and enjoy a two-person sized natural hot tub for free. So nice after a hike! On the dirt road we saw some signs that could indicate points of interest. These included Payson Ranch, Jackpine summer homes, Granite ranch and the Safari Club International. We stopped at Albertson’s on the way home and found these Zip Superstarter fire starters at 6 for $6, which sure beats Duraflames at $5 each. In this area between the town of Jackson and Route 22 are more affordable shopping options like Albertson’s, K-Mart etc. if you want to buy anything or stock a condo while visiting, and there are countless outdoor outfitters. The drive back to Colter Bay afforded some spectacular views and lighting, and we stopped at Oxbow Bend for sunset and mountains reflecting in the water. This is a famous photography spot, and you will see camera gear that costs about as much as a car. Back home we grilled up some teriyaki pork tenderloin (which will appear in the next post, too) and baked potatoes. 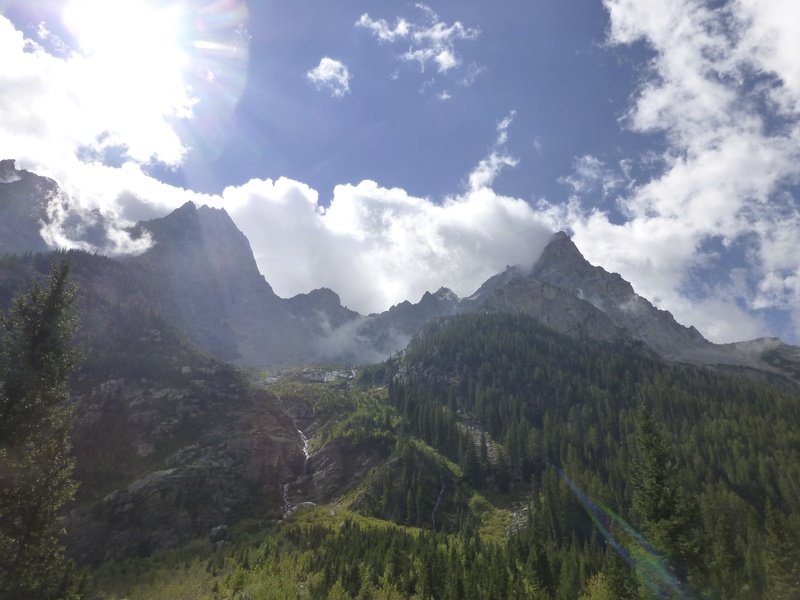 There is an American Alpine Club Climbers’ Ranch with a superb location near Jenny Lake. I do not know what is required to join the club, but it is something to consider. The Jackson area also has a museum of wildlife art and a national fish hatchery. We did not see any moose or bears here but a lot more bison and some pronghorn. And many more miles driven alongside rivers, which I enjoy. This entry was posted in North America, Uncategorized, Wyoming and tagged Granite Hot Springs, Jackson, Jenny Lake, Wyoming on November 9, 2013 by aleavitt77. 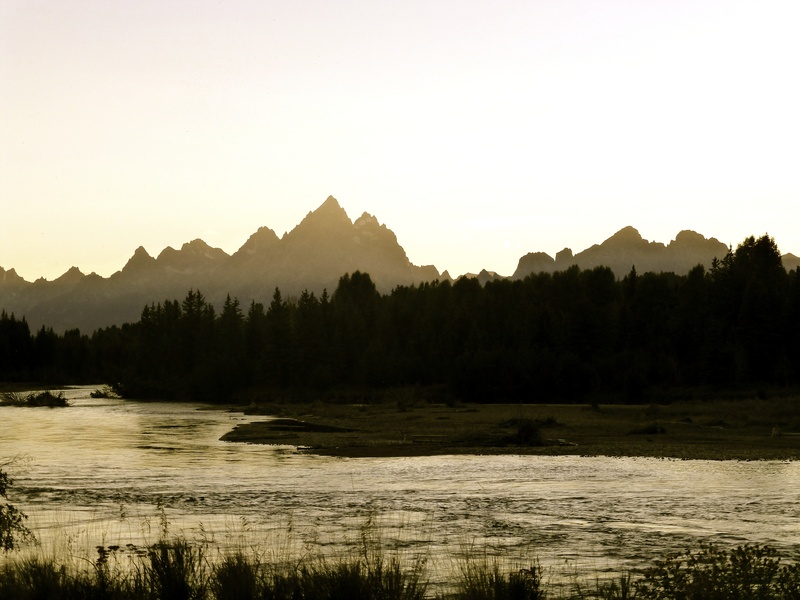 Jackson Hole holds a special place in the hearts of skiers and boarders worldwide. It boasts more than 4,000 vertical feet and arguably the best advanced terrain in the country, if not the world. I spent a week skiing Jackson in 2002 and hope to return in the winter soon, and I am eager to visit Chamonix in France which is another contender. While most famous as a winter destination, Jackson’s scenery, outdoor activities and proximity to Yellowstone make it a wonderful summer spot. 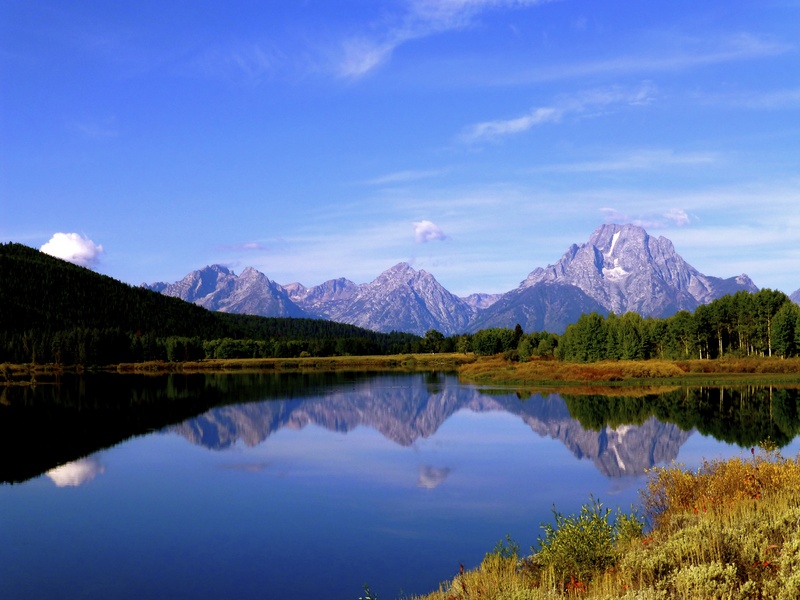 September 7 (Saturday, cont’d) – We exited Yellowstone at the South entrance and continued down to Colter Bay Campground, finding our first clean view of the spectacular Teton Mountains on the way. We also passed a sign indicating the 45º mark, i.e. the halfway point between the equator and the North Pole. For those unfamiliar with this area, perhaps a brief orientation would be helpful. Jackson, Wyoming is a town that is at the southern end of the Grand Teton National Park area. 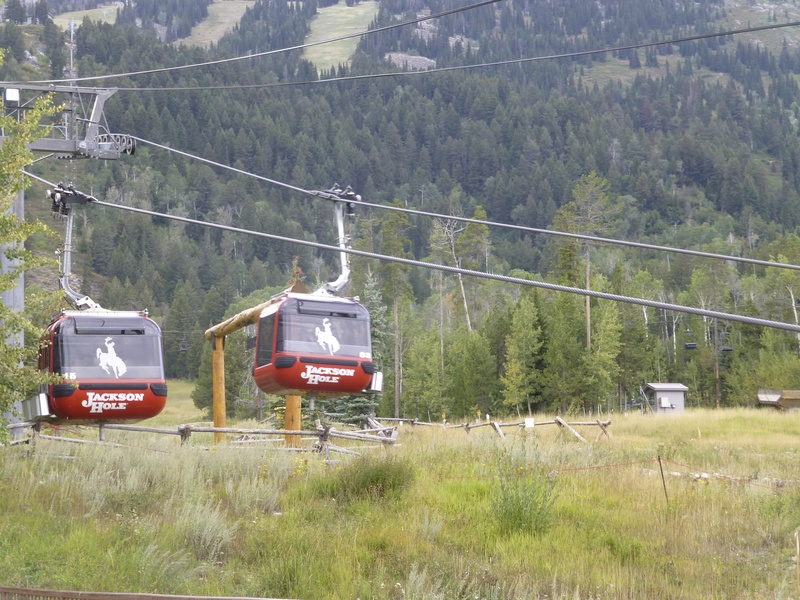 Jackson Hole ski resort is 12 miles northwest of the town, in Teton Village. Colter Bay Campground is on Jackson Lake, about 40 miles north of the town of Jackson. Hotels in the general area tend to be very expensive. There are several options for camping. We were told that Jenny Lake is the most sought after and tends to fill up early in the morning, so that was not an option for us. 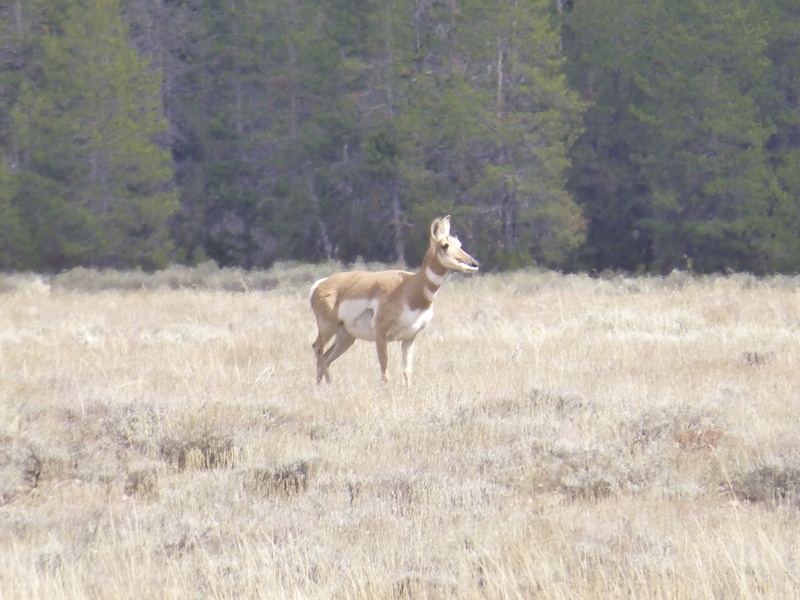 There is also camping at Gros Ventre, but I read that is somewhat out of the way. The important information I want to convey is pay attention to where you choose your lodging, because the area is fairly expansive and you could end up an hour away from where you want to spend most of your time. We arrived at Colter Bay a little after 5 pm and got site D88 from many available sites. It costs $21/night and is spacious but privacy is not great and the designated tent area is a gravel-covered rectangle. There is a general store that is very well-stocked with food (including a deli counter) and supplies as well as guidebooks and camping gear, cabins available for rent and a gas station. Potable water and flush toilets are scattered throughout. Here they are stricter with bear warnings, advising against even bringing water bottles into your tent at night if such bottles ever had anything scented inside. But you can still keep food in the car or a bear locker. The bay was bone dry but Jackson Lake was not, and the backdrop of the glaciated Tetons is jaw-dropping. There is no view from the camp sites themselves, which are set back in the woods. 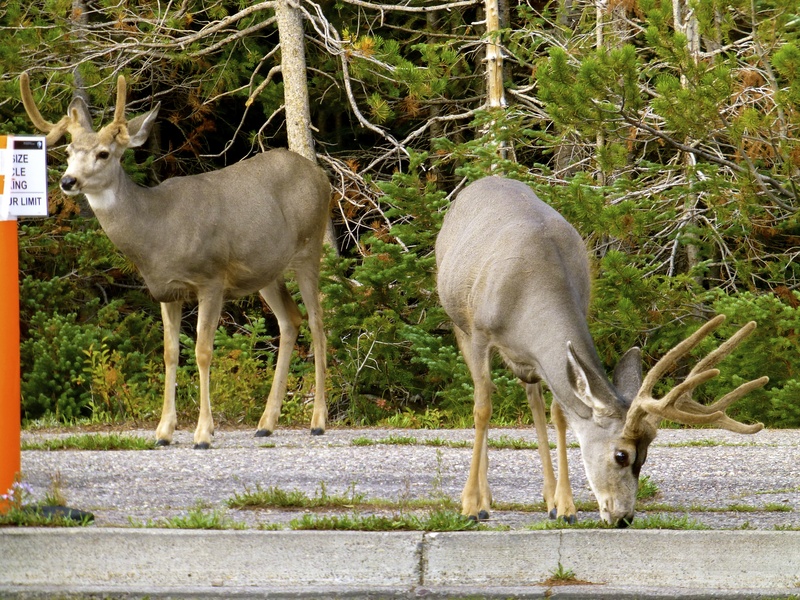 We saw a couple large deer in the parking lot. September 8, 2013 (Sunday) – This morning I began reading Investment Biker, written 20+ years ago by Jim Rogers, the famous investor and former partner of George Soros. He is impressively prescient and raves about Samarkand (Uzbekistan), which Bob had just said is outstanding. This combo sparked our focus on visiting Central Asia on the first international leg of our trip. We headed to the town of Jackson with spectacular views of the Tetons along the way. At one point there were countless bison on each side of the road, and we stopped (the first of a few) to savor the scenery at Oxbow Bend. We parked before 10:30 am and walked around town. The fall arts festival is ongoing and today is the Taste of the Tetons on the antler-adorned town square. Jackson is a great mountain town with abundant galleries, shops, bars and restaurants. While no match for Jackson Hole, the Snow King ski mountain is right in town and offers fairly impressive pitch. There is a Mangelsen photo gallery (I had perused the one in Park City on many occasions but believe he lives in Jackson) with some incredible nature shots. The line at The Bunnery told us it is a favorite for brunch. Taste of the Tetons had perhaps 20 local establishments offering food for $2-4, and there was live music on the square. Between eating and the hour it was acceptable to make Jenni watch football the rest of the day, we walked around some more. She purchased Eagle Creek packing cubes at the small but effective Skinny Skis shop. We also passed a structure surrounded by a fence of alternating wood and actual skinny skies. They had the Dynastar Verticals and of course the classic Rossignol 4S Kevlar in teal green! The Giants had their season opener at night vs. the Cowboys, but there were hours to kill before then. We made the mistake of picking the Town Square Tavern for earlier games. The beer selection was weak and our waitress far worse. Desiring to see the ski resort in daylight anyway, we broke early for Teton Village. While not nearly as developed as many ski base areas, there are several lodging properties, shops, restaurants and bars at Teton Village. It was surprisingly difficult to find a place that would show the Giants game with sound. I figured the Mangy Moose, an après-ski staple, would be our best bet. But they had no sound, so after much debate we settled at The Spur. We sat at the bar and thoroughly enjoyed our conversation with Ted, an excellent bartender/waiter who grew up in Manhattan then went to school in Boulder before moving to Jackson for the skiing. Another group of young fellows sidled up to the bar and I sat next to Grant, who had also gone to school in Boulder and lived in Vail before moving to Jackson for the snowboarding. I was really struck by the passion these gentlemen had for the area and the mountain terrain. Ted went so far as to proclaim that skiing at Jackson is a different sport from anywhere else. I have often said this when comparing east coast vs. west coast skiing, but saying that Jackson is in a completely different league from the best of Colorado and Utah etc.?! Here were two guys who lived years in Colorado and were still awe-struck by the mighty Jackson Hole. That says a lot, and I am drawn to places where inhabitants display such passion. OK, here the truth comes out. I have delayed my blog posts so long to avoid having to address the Giants’ season. The opener against the Cowboys was a harbinger of bad things to come. Despite many opportunities to win the game, the Giants secured an embarrassing loss rife with turnovers. My pain was comforted by the 307 Fries, which are the rich man’s version of chili cheese fries. This is a dish of pommes frites, braised elk and buffalo gravy smothered with Lark Meadow Farm cheddar cheese. I overheard the locals next to me talk of adding bacon on top, and I wanted to seem cool so abandoned my kosher principles and added some swine. Brilliant. If you were wondering, 307 is the local area code. The drive back to Colter Bay on the Moose/Wilson road was rough. Jenni was forced behind the wheel by my indulgences and encountered uneven dirt roads in the eery rain and fog with no lights anywhere except Sven’s headlamps. 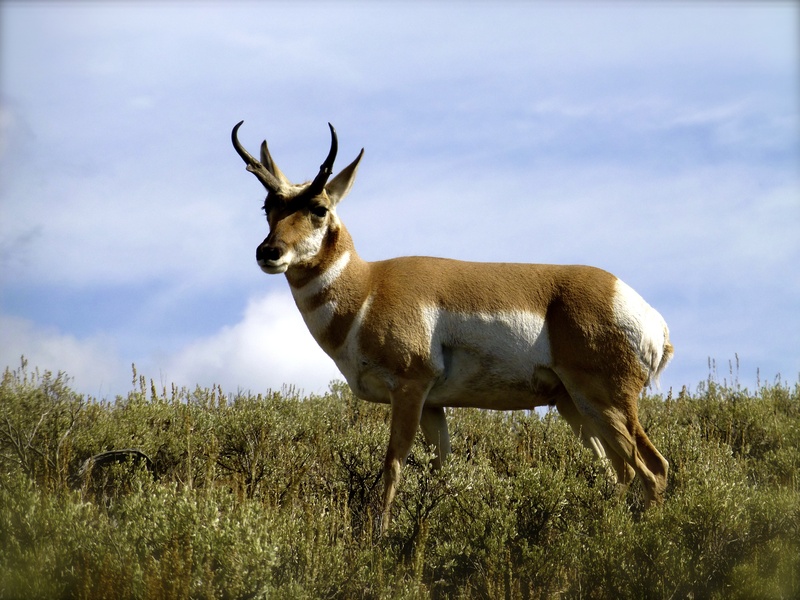 This entry was posted in North America, Uncategorized, Wyoming and tagged Jackson, Jackson Hole, Wyoming on November 9, 2013 by aleavitt77.